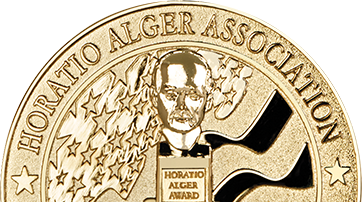 WASHINGTON, D.C. (April 13, 2017) –Horatio Alger Association of Distinguished Americans, Inc., a nonprofit educational organization honoring the achievements of outstanding individuals and encouraging youth to pursue their dreams through higher education, today announced the 50 recipients of its prestigious 2017 AKSARBEN Horatio Alger State Scholarship. These scholarships are funded through the generosity of the AKSARBEN Foundation, and are awarded to students from Nebraska and western Iowa who have faced significant personal adversities, yet continue to show admirable commitment to continuing their education and serving their communities. Collectively, the 2017 AKSARBEN Horatio Alger State Scholarship recipients have maintained an average GPA 3.68 while coming from households with an average annual income of $27,353. Each student is awarded $6,000, paid over four years, to apply toward the tuition of the college or university of his or her choice. Additionally, Horatio Alger State Scholars have access to various resources, including college preparatory support, guidance and crisis counselors as well as mentoring programs. AKSARBEN Foundation is the premier business leadership network in Nebraska and western Iowa. Since 1895 AKSARBEN has leveraged collective business leadership to build a more prosperous Heartland by funding and guiding best practice, needs-based scholarship programs, awarding nearly $1 million annually; promoting the Heartland’s cultural heritage through top-ranking community celebrations, attended by more than 100,000 annually; and honoring community leaders who carry on the Heartland’s tradition of philanthropy and volunteerism. Horatio Alger Association was founded in 1947, and since 1984, it has administered one of the nation’s largest privately-funded, need-based scholarship programs. Since its founding, the Association has awarded more than $125 million in undergraduate and graduate scholarships to students from across the United States, including all 50 states, the District of Columbia, Puerto Rico and Canada. In 2000, 16 years after the establishment of its National Scholarship Program, Horatio Alger Members also began funding scholarships concentrated in each state, as well as specialized scholarships, to further its mission of helping deserving young people pursue their collegiate goals. For a full list of the 2017 AKSARBEN Horatio Alger State Scholars, please click here. Follow Horatio Alger Association on Facebook, Twitter and Instagram using the hashtag #HoratioAlgerScholar. Founded in 1947, the Horatio Alger Association of Distinguished Americans, Inc. is dedicated to the simple but powerful belief that hard work, honesty and determination can conquer all obstacles. The Association honors the achievements of outstanding leaders who have accomplished remarkable successes in spite of adversity by bestowing upon them the Horatio Alger Award and inducting them as lifetime Members. Horatio Alger Members support promising young people with the resources and confidence needed to overcome adversity in pursuit of their dreams through higher education. Through the generosity of its Members and friends, the Association awards more than $11 million annually in undergraduate and graduate need-based scholarships across the United States and Canada and provides college support and mentoring services to its Scholars. Since 1984, the Association has awarded more than $125 million in college scholarships to more than 22,000 deserving young people. For more information, please visit www.horatioalger.org. Established in 1895, AKSARBEN Foundation represents the premier employers in Nebraska and western Iowa. AKSARBEN Foundation works as a unified network to influence change for the betterment of youth, the economy and Heartland communities. We advance our mission to leverage collective business leadership to build a more prosperous Heartland by funding and guiding best practice, needs-based scholarship programs, awarding nearly $1 million annually; promoting the Heartland’s cultural heritage through top-ranking community celebrations, attended by over 100,000 annually; and honoring community leaders who carry on the Heartland’s tradition of philanthropy and volunteerism. For more information, please visit www.aksarben.org.